THE ISLAMIC REPUBLIC of Iran has launched a cyber police unit to crack down on communications between political dissidents. 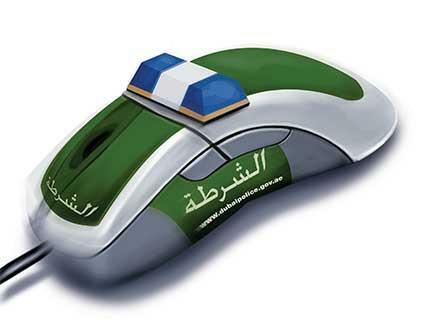 The country's cyber police will patrol the information superhighway looking to tackle what it calls "Internet crimes". It all sounds fairly reasonable until you read that the cyber police unit's remit includes subverting social networks that police chief Esmaeil Ahmadi Moghaddam said promote "espionage and riots". Ahmadi Moghaddam said that Iran's cyber police will take on the "anti-revolutionary" dissident groups that used online social networks to organise protests against President Mahmoud Ahmadinejad following disputed elections held in 2009. "Through these very social networks in our country, anti-revolutionary groups and dissidents found each other and contacted foreign countries and triggered riots," said Ahmadi Moghaddam, referring to the protests that took place at the time. Then, Iranian protestors used social notworking not only to organise demonstrations but also to disseminate information as the government shut down mobile phone networks and suppressed reporting by traditional media within the country. The announcement that Iran has launched a cyber police comes after the New York Times claimed that the Stuxnet worm was a joint Israeli and US effort. The worm targets Windows-based supervisory control and data acquisition (SCADA) machines, specifically systems running Siemens' Step 7 software. According to the NYT article, the Stuxnet worm did significant damage to Iran's centrifuges that it is using to enrich uranium into fuel for nuclear energy plants. However, Iran's cyber police mission to suppress social networks due to their proven ability to help dissidents organise anti-government protests likely will itself only motivate more protests.